Certainly one of the main ingredients in a great kid’s party is the games, and a Lego themed party is no exception. Surprisingly versatile and always popular, despite the temptations of more technologically advanced games and toys, Lego remains a huge favourite with younger kids and a Lego party will go down a treat. Here are some tips for getting just the right mix. Lego, or not, there are a certain rules of engagement when it comes to parties and kids ones are no exception. · Have a game or an activity ready to start as the guest arrive; this helps to get the party started and it’s one small step in the continual battle to wear your own and your friends kids out! · Have a different range of games that include group games and individual task, this ensures that everyone gets to take part and doesn’t get left out. · It may be the taking part that counts but it’s important to ensure that everyone – including the birthday boy/girl – gets to win one of the games. · Finishing touches – end the party games with the cake – and give out goodie bags for everyone to take home with them. · Opening the games; no, you don’t need to create an Olympic spectacle but a jar full of Lego bricks at the front door to play “Guess the Number” is a good starting point. The winner gets to take the jar of Lego home at the end of the day. · Using chopsticks tied with a rubber band get each guest to attempt to pick up as many Lego pieces from a central bowl and place them in individual bowls. The winner is the one with the most bits in their own bowl at the end of a minute. 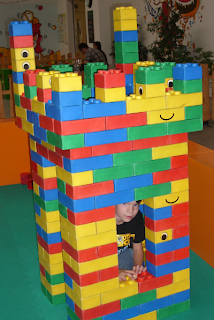 · Towering Treats; no Lego party is really going to be complete without a building challenge; a group task should naturally involve creating the tallest tower. You can set the challenge to one large group or several competing groups. Each team member has to take turns to add to the tower and the group with the tallest tower (or the last to collapse) wins. · Especially if the party is indoors – either weather bound or because of distinct lack of outdoor space – Lego bricks can make an ideal focus for a treasure hunt. Again this is a good team effort game and by setting it as a group challenge you can create a couple of different treasure routes. The winning team is the one that finds all the pieces first. A more complex version is to take each piece from a small model and the winning team is the one that finds all the bits and constructs the model first! 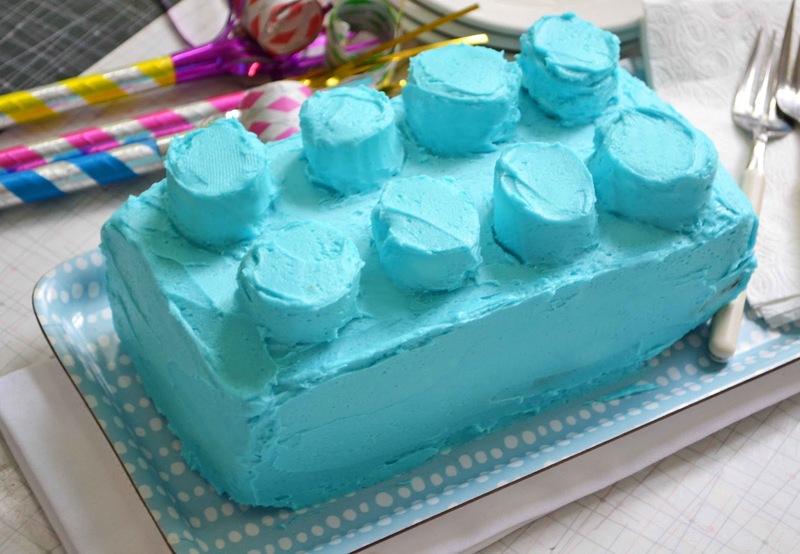 Naturally the cake will be a key part of the celebration and thanks to their simple design Lego bricks make a perfect and easy to make cake. Any flavour of sponge cake can be used along with six sponge cupcakes. The cupcakes form the studs and you can use standard icing coloured red, blue or green to cover the cake and studs, creating a realistic and tasty Lego brick cake. A more adventurous alternative is to create a layered cake, decorated with a number of different colours and top off with studs and a forest of candles on the top. Goodie bags or boxes should contain at least one mini-kit (cars for the boys and jewellery for the girls go down well) to take home as a reminder of a fantastic Lego party. AuthorCarlo Pandian is a freelance writer and LEGO fan. He blogs about LEGO bricks, parenting and design covering everything from Dallas with kids to theme parks. When he’s not online he likes gardening and volunteering at his local community center.